For more than 60 years, Cliff Barrows was one of the most vital components—and most recognized faces and voices—of the Billy Graham Evangelistic Association’s worldwide ministry. Beginning in the 1940s during the early days of the Billy Graham Evangelistic Association ministry, Barrows served as music director for the Billy Graham Evangelistic Team. He led congregational singing and Crusade choirs around the world. Barrows also hosted the internationally broadcast weekly Hour of Decision radio program for more than 60 years. On November 15, 2016, Mr. Barrows passed from this world into the loving arms of Jesus. Although his earthly mission is complete, his legacy of ministry will continue for generations through the Billy Graham Evangelistic Association. Mr. Barrows’ testimony, by anyone’s account, was a life sold out to Jesus Christ. If you ever spoke to him, or even shared time in the same room, you could sense the glory of God radiating from him. Read more about Cliff Barrows at: https://billygraham.org/story/story-fond-farewell-to-cliff-barrows/. 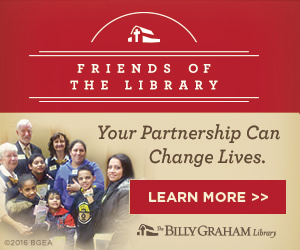 Now through Jan. 31, guests to the Billy Graham Library can get a glimpse to the life of Cliff Barrows through a special exhibit. 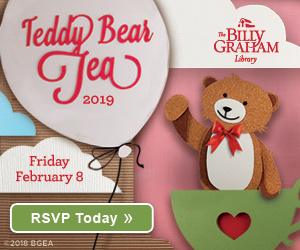 Come be inspired as the Billy Graham Library celebrates the remarkable legacy of Billy Graham’s right-hand man in Crusade ministry. 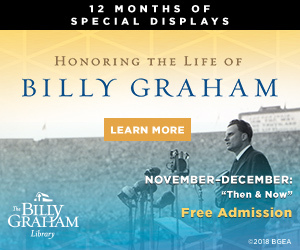 Explore rare memorabilia and photos that will take you behind the scenes of a life captured by Christ, including Barrows’ unusual introduction to Graham, his six decades with the Crusade team, and his work on the groundbreaking radio program The Hour of Decision. 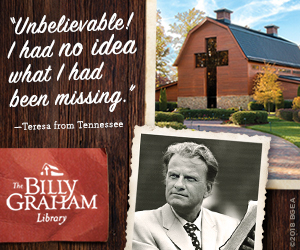 Plan your visit to the Billy Graham Library at: http://billygrahamlibrary.org/event/special-exhibit-cliff-barrows-tribute/.